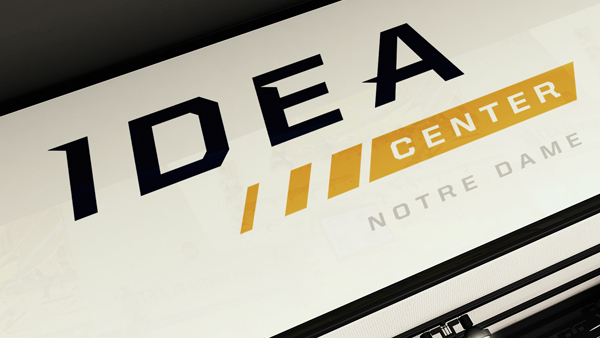 SAP Press Release | SAP SE today announced the opening of an SAP Next-Gen Chapter at the University of Notre Dame IDEA Center to help spread the principles of design thinking throughout Notre Dame and other academic institutions. This chapter is one of 100-plus SAP Next-Gen Chapters around the world to have opened this year. The partnership deepens the collaboration that began in 2014 between Notre Dame and SAP to advance the understanding and education of design-led innovation — a human-centered approach to product creation and problem solving. SAP Next-Gen Chapters are dedicated to helping universities prepare graduates to achieve the 17 U.N. Sustainable Development Goals, a set of global economic, social and environmental milestones to be reached by 2030. Each chapter conducts a wide variety of activities, including developing academic curricula on SAP Leonardo technologies, and running Code with Purpose initiative hackathons and #sheinnovates events to inspire a global movement of diverse students developing disruptive solutions to social problems. The Press Release is officially released by SAP. It can be viewed here.